Make your child's dream come true this holiday season. Every little girl (and most grown women) wants to be a mermaid. With Sin Tail, they can be. And don't forget the boys. Sun Tails has mermen tails too. Here in Florida, it is always beach weather, even in the "winter", but even if it's snowy where you are, Sun Tail would be perfect to make it feel like summer (indoors, of course.) No matter the season, it's ahrd to imagine your little girl ever wanting to take her Sun Tail off, even at home. 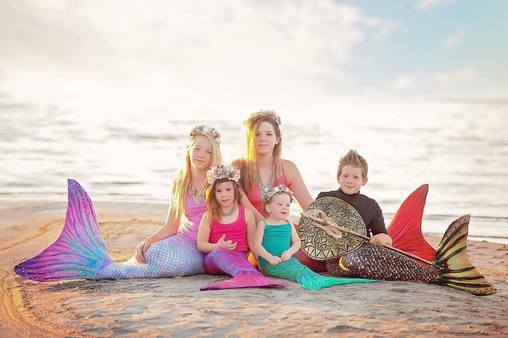 To really put you in the holiday spirit, Sun Tail is offering a 10% discount on your order at www.SunTailMermaid.com by using coupon code: BestGiftEver. What are you waiting for?